This post was last updated on November 4th, 2017! Using WooCommerce’s Up-Sells feature is a good and profitable idea because you can recommend other products instead of the currently viewed one. 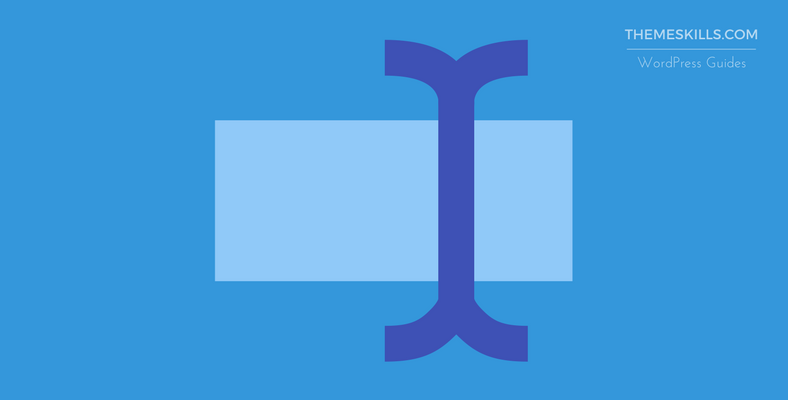 It’s similar to using Related Posts at the bottom of your blog post. In this way, you can bring to your customer’s attention to other products that are more profitable, have a better quality, or are more expensive; it’s up to you. The bad news is that this feature comes with the default text “You may also like…”, which will be positioned above the recommended products. Some of you may be bothered by this, as we were, because that text might not be such a good fit for your products or services. Therefore, you’ll want to change it, and I’ll tell you how! I’ll point out five different ways to do this. If you know other techniques, please share it with us by dropping a comment. 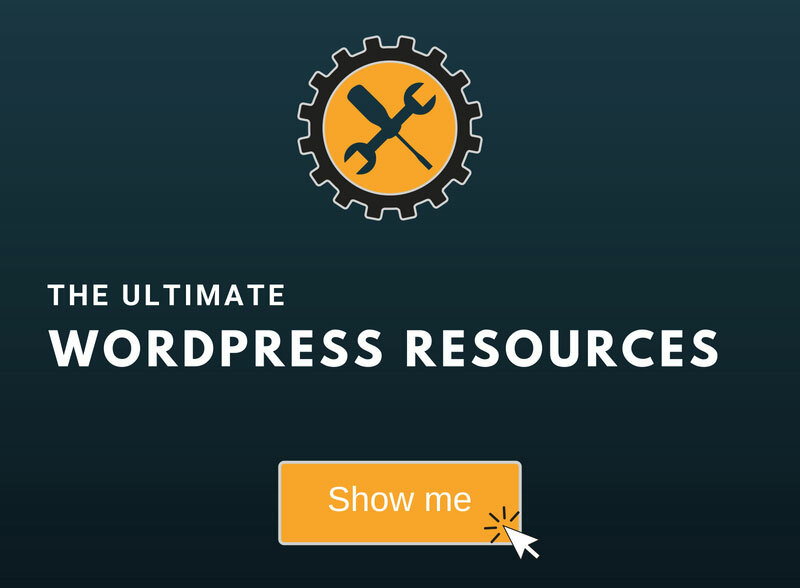 Also, you might want to read this guide to find out how to access your WordPress website’s files. The first two methods are not ideal, because the changes will be reversed with every update! 3. 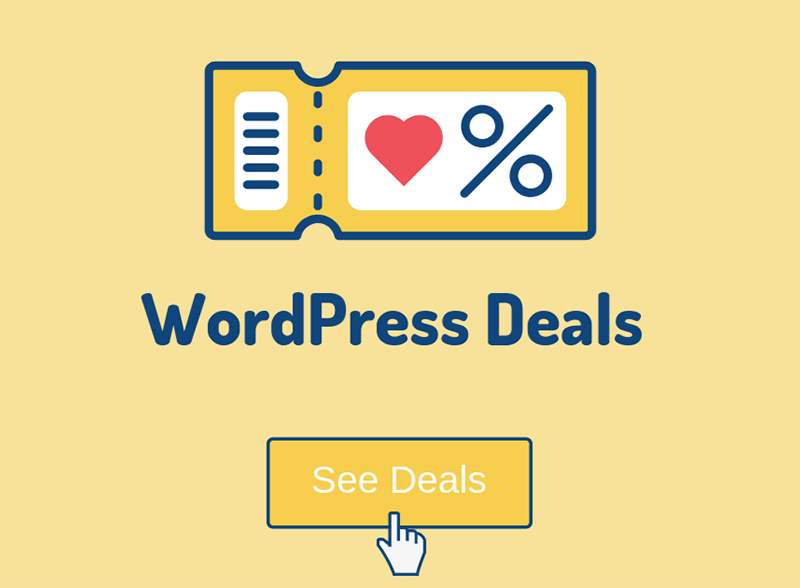 Right-click on the upsells.php file and choose Edit or Code Edit to find the line quick. 4. After that, scroll down to line 39 (it may be a different line for you) and change the “You may also like” text to whatever you want. 5. Click Save Changes and you’re done! That file might seems strange because of that .pot extension, but don’t worry, the editing process is the same. 2. Now right-click it and select Edit or Code Edit. Since this is a large file, it will be easier to just press Ctrl+F (Command + F on Mac) on your keyboard, then enter “you may also like” in the search box, and click find. 3. Change the text to whatever you like and click Save Changes. The following three methods are ideal, because the changes won’t be reversed with every update, but they are a bit more advanced, and might also not work for everybody! 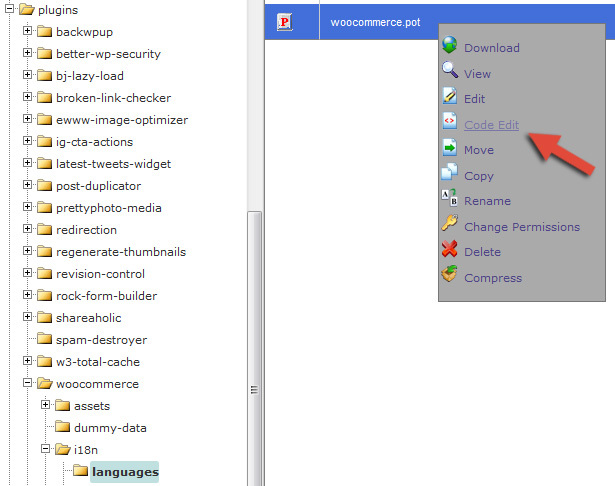 Create these folders in your child theme: /woocommerce/templates/single-product/ and add / paste the up-sells.php in the last folder, which is /single-product/. Then make the changes there. So, eventually, the file should be found and edited here: /public_html/wp-content/themes/YourThemeName-child/woocommerce/templates/single-product/up-sells.php. Note that this might not work on all themes! Perform a function override and add it in your child theme’s functions.php, but the same function probably won’t work for everyone, and even if it does, at some point it may stop working due to changes in the future WooCommerce updates, so you’ll have to make changes to your function as well. Therefore, if you’re not a developer, you’ll need to constantly seek help. This was a great help to me last year and I changed a couple of strings really easily for me and my site. But yesterday I updated the site to WordPress 4.0 & WooCommerce 2.2.4 and now the strings are not working – the labels I previously had changed are back to normal! Which proves what I said above – a function override might stop working at some point due to some string changes in the plugin’s future updates. You could still try the code, if you wish, to see if it works, but make sure you back up your child theme’s functions.php file or perform a full website backup. I couldn’t find a recent code, so if you wish to use this method, it would be best to ask your theme developers or seek help on the WooCommerce forum. If you are a Woo customer, then, of course, you can benefit from their premium support. You could also use a plugin, like Loco Translate, as Vladislav pointed out in the comment section. But I really don’t recommend using a plugin (the fewer plugins, the better) just for changing 4 words, unless your site is already in another language, and adding a translation plugin would be of help anyway. Hope you found our guide useful! If you know another technique, please share it with us by leaving a comment! Should these changes be visible immediately or does wordpress cache these somehow? Depends on the caching plugin/system. If the change doesn’t appear, then clear the cache (from your browser as well). You’re most welcome! We’re very glad to hear that! Just what I was looking for. Thanks! We’re glad to hear that! I have Woocommerce but the basic language of my site is dutch. The translation of “You may also like” is not OK, so I want to change this. Any idea where I can find this text that needs to be replaced? I follow step by step instructions (php) and it has not change the text. Is it possible Im missing on something? or some themes are just not flexible? thank you! Hello! Did you clear your browser (hit Ctrl+F5 on Windows; Cmd+Shift+R on Mac, I believe) and site cache? I just did method one and now my product images won’t load in Woocommerce … please help … I’m freaking out! What if i update my plugin later? Do i lose the changes? Is there a way to edit this file in my child theme so that I do not lose these changes as I update plugins? 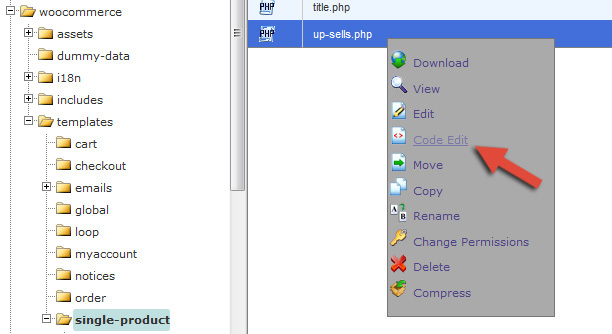 Yes, you should be able to copy the up-sells.php file into your child theme and edit it there. I have just a problem for translate Up-sell title in wordpress in product page for complete my product package in different language like french and english. Use get text instead. Then it won’t change again when Woocommerce updates. You should *never* make changes to the core PHP files. 1. the changes will get overwritten on next update, and 2. you will break the links to other translations which use the string in the PHP as an ID for the translated string. Thus, if you change “Some phrase” in the PHP file to “Some other phrase”, and it was translated in German, for example, the original “Some phrase” will not exist in PHP, and the German translation will not appear, since it will be a translation for “Some phrase”, and not for “Some other phrase”. Changing the POT file is almost the same – it will get overwritten. Please advise how to find the file name: woocommerce/templates/single-product/up-sells.php in word press? Once there, find the file, edit it, and replace the “You may also like…” text with whatever you wish, like you see in the above images. Vladislav Vladimirov is correct, on all counts. We used his advice to change my woocommerce cross sell text “You May Also Be Interested In…” in our cart, and the translation plugin worked flawlessly. How do you move the “you may be interested in” products above the cart, rather than side by side or below it? Side note: Also, how do you limit the number of products displayed? To limit the number of products displayed, add this code and adjust the number – https://docs.woocommerce.com/document/change-number-of-products-displayed-per-page/. But first, make sure to check your theme’s settings for a feature like this. A lot of themes have one. I also recommend having a child theme in place, and back up the file or the entire website before adding the code. 5. Why not, kindly ask your theme developers for help, if you have a premium theme. If it’s not too much hassle for them, they might help you out. Great! I’m happy it worked! Thanks for letting me and the other readers know!